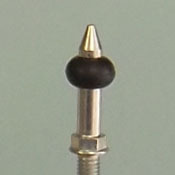 Small black rubber ring for metal & plastic posts and mini-posts. 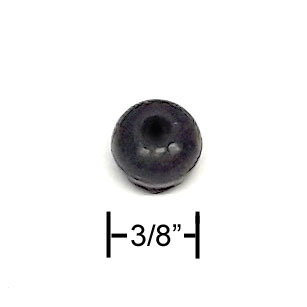 Measures 3/8-inch OD, 1/8-inch ID. Replaces 27/64-inch rings, Bally/Williams # 23-6694-1, Capcom # RB00117-02, Data East, Sega, new Stern # 545-5348-17 and 545-5348-19, and Gottlieb/Premier # 14793.